Born on 6-5-1887. He was born in Buffalo, NY. He was accomplished in the area of Legal. He later died on 2-9-1937. A native of Buffalo, Sarsnett was the son of George E. and Lovica Sarsnett. His mother was a native of Canada. The elder Sarsnett was a railroad dining car chef, who was born circa 1855. The elder Sarsnett died on December 24, 1924. His mother's birth date was circa 1859. George was one of eight children. Four sisters survived him. George attended Buffalo Public Schools, one of which was School #32. He began boxing at the age of 17 and records show that he was considered to be a good fighter in the lightweight welterweight category. In 1910, 1911, and 1912, between the ages of 17 and 20, his record of wins was said to have been impressive. At one time he was the middle weight champion of New Jersey. He maintained a life-long devotion to the sport acting as a coach or second to many young aspiring boxers. His first career was as a mattress maker, progressing from apprentice to a master craftsman in the field. However, in 1917 he took the civil service exam for policeman and was hired by the Buffalo Police Department the following year. 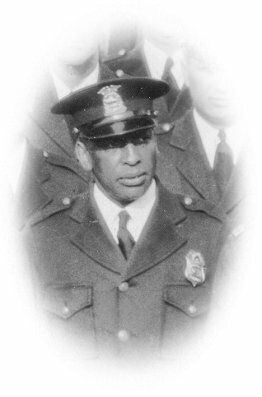 When he was sworn in as a patrolman, on March 15, 1918, George became the first African American policeman in Buffalo's history. He would not be joined by another Black policeman, Oscar Bragg, until a year later and the two remained the only officers of color for another 25 years. He was assigned to Precinct 4 at 161 Sycamore, where he spent the entirety of his career. Sarsnett did rise to the rank of detective but died at the age of 49 after a bout of pneumonia. Sarsnett was also a member of the Masons, the Erie Club, the Police Benevolent Association and several athletic clubs. It appears he never married. He is buried in Forest Lawn Cemetery in Buffalo, New York.